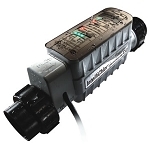 IntelliChlor IC40 Cell for pools up to 40,000 gallons. New installations require PC100 power center to operate. Includes: IC40 Cell with 15' Cord, 2 unions, and owners manual. 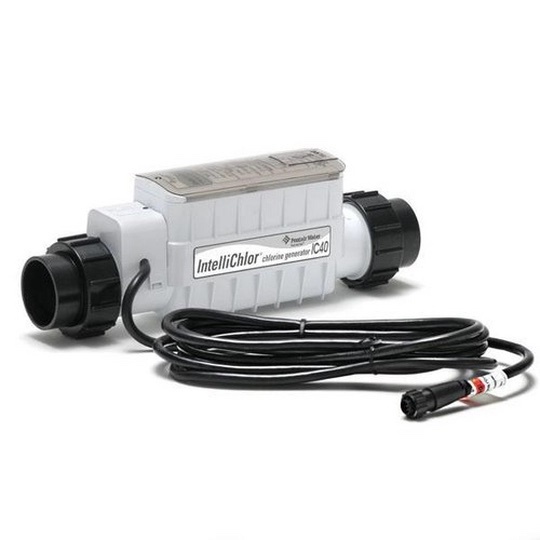 Pentair IntelliChlor IC40 Salt Chlorinator uses common table salt to produce all the chlorine a pool needs, safely, effectively, and automatically. 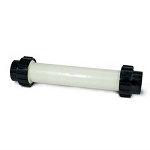 Same sanitation performance as manual chlorine addition without the drawbacks. No need for customers to buy, transport and store chlorine compounds. Salt units generally last about 5 years. It look like Pentair made some improvements to the unit. Installed and working great! Received the item just days after I purchased. My pool is back making chlorine! Great value too. Q: My pool suppier just replaced my bad sell and when they installed this one I noticed it is in the opposite direction of the old one. Does it matter what end has the flow arrow? Q: How long is warranty on this item? 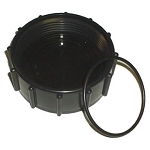 Q: is this IntelliChlor IC40 cell a new or used unit?